Liz is a partner specialising in the financial aspects of divorce. She also sits on the firm’s management Board as Deputy Head of Exeter Office. She is named as a leader in her field in the Chambers and Partners guide to the legal professional and recommended in Legal 500 UK. Liz has also received Hall of Fame recognition from The Legal 500 - the only family lawyer from the South West to be included. Liz specialises in high value and complex financial work. This includes complicated pension issues, tax and valuation issues, claims against trusts, businesses and farms, inheritance issues and pre-acquired wealth. She acts for a varied and wide range of clients. Liz is regularly identified as one of the leading divorce lawyers in the UK by independent guides to the legal profession. She has recently been recognised by the CityWealth Leaders List for the 8th consecutive year - an international guide to the most highly regarded figures in private wealth management. She is the only family lawyer in Devon and Cornwall to have been named in the Honours section of the 2017 edition and appears on the 2018 Powerwoman List. Liz attended Nottingham University and qualified as a solicitor in October 1986. Liz is a member of Resolution as well as being qualified in Collaborative Law. £30 million asset case – obtaining 50% for the wife. Complex trusts case involving attack on dynastic family trust which was successfully protected against the wife’s claims. Advised to avoid a major CGT charge in a case where there were 17 properties, many of which had to be transferred for tax purposes at short notice. Successfully defended husband’s claims within a divorce against a substantial inheritance by the wife. Outside of work Liz enjoys spending time with her family, as well as being an avid gardener. Legal 500 UK 2017 as a leading individual - "Star performer Liz Allen has huge intelligence, experience, a great depth of knowledge and good judgement". Legal 500 UK is an independent guide to the legal profession who recognises top lawyers. Legal 500 UK 2019 “has ‘a fantastic rapport with clients and won’t stand for anything but the best’, and specialises in high-net-worth financial and business settlements on divorce, including pensions and trusts”. Liz has also received Hall of Fame recognition from The Legal 500 - the only family lawyer from the South West to be included. Band 1 Recommended lawyer in the 2018 and 2019 Chambers Guide to the Legal Profession - "simply superb. She has a huge depth of experience and is considered and astute.” and is highly praised by sources for her "sound practical, commercial approach" and "huge wealth of knowledge and experience." She offers extensive expertise in high-value divorce settlements, trusts and pensions. 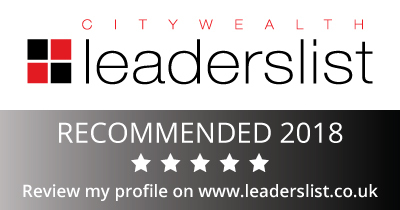 Karen Jones, CEO and editor of Citywealth comments: "Liz’s reputation with clients has been built over many years, which is why we are delighted to recommend her in the Citywealth Leader’s List. She has become an important and successful brand in family law and her clients have told us ‘she is simply one of the very best in the South West.'" The Amazon divorce – what package will it deliver? What are the benefits of a private FDR?